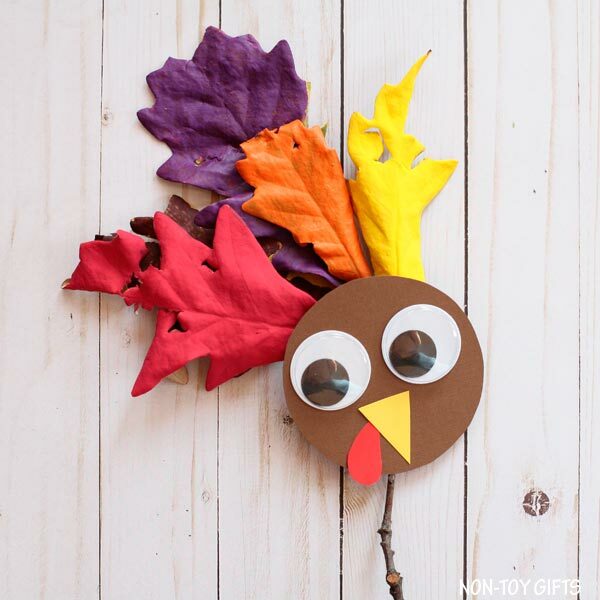 With Thanksgiving just around the corner, we have time for one last craft: a leaf turkey craft. 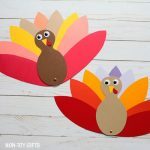 This will be a nice addition not only to our Thanksgiving collection but also to our nature crafts. 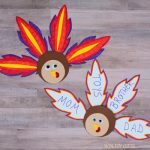 My boys love to collect sticks, leaves and rocks so sometimes we include them into our crafts. If it’s not freezing cold already where you live (We’re having a surprisingly cold November here in Minnesota), I invite you to go out for a walk and look for a twig with leaves. 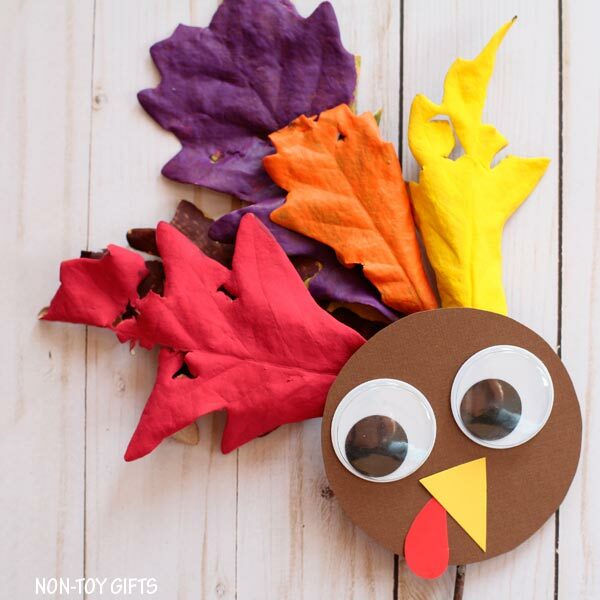 I’ll show you how to turn it into a turkey puppet. It’s really easy and I found it enjoyable. We’ve painted rocks and sticks before but never leaves. I have to say it was fun and I loved it. 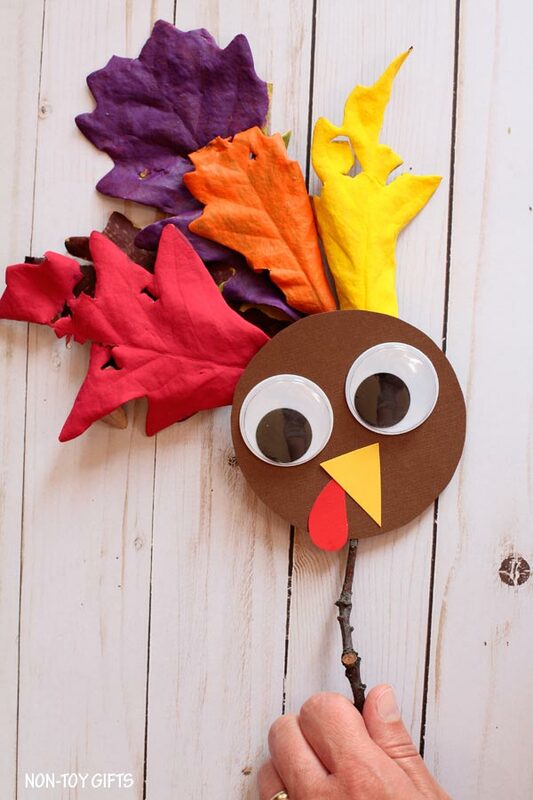 Because we’re talking about dead leaves, the turkey puppet will be rather fragile. 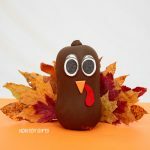 So your leaf turkey’s life expectancy depends on your kid’s age and how gentle he/she can play with things. 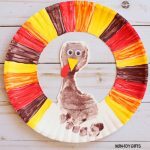 I know it would have a long life with my oldest but my kindergartner is a rough player so I wouldn’t expect the turkey to survive a day. 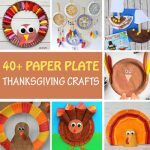 Before we proceed to the tutorial, make sure to check out more turkey crafts as well as our collection of 100+ easy crafts for kids. Start by a nature walk and look for a twig with leaves. Once you found the perfect twig, paint its leaves. We painted each leaf in another color. 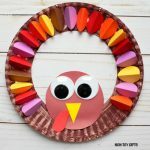 While we try to stay in the yellow, orange, red, brown and purple color scheme with our turkey, you can use any colors that you want. 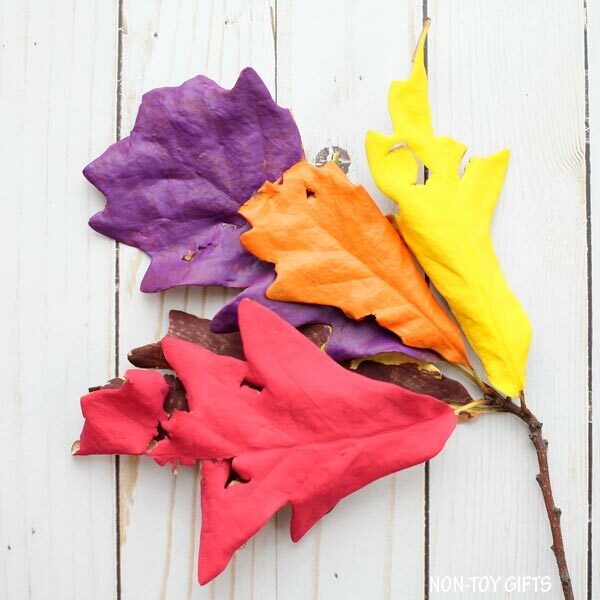 If your child would love to paint the leaves blue or pink, just go for it. 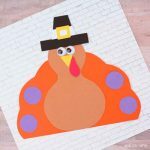 Create the turkey head from card stock paper. 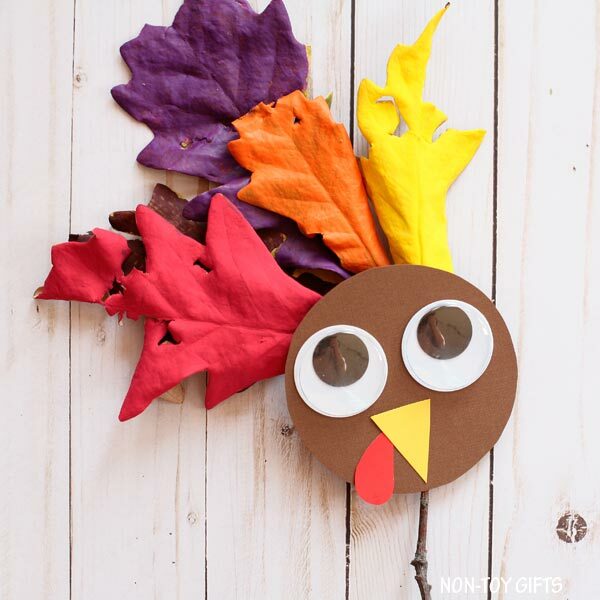 Use a round container or cup to draw a circle on brown card stock paper and cut it out. 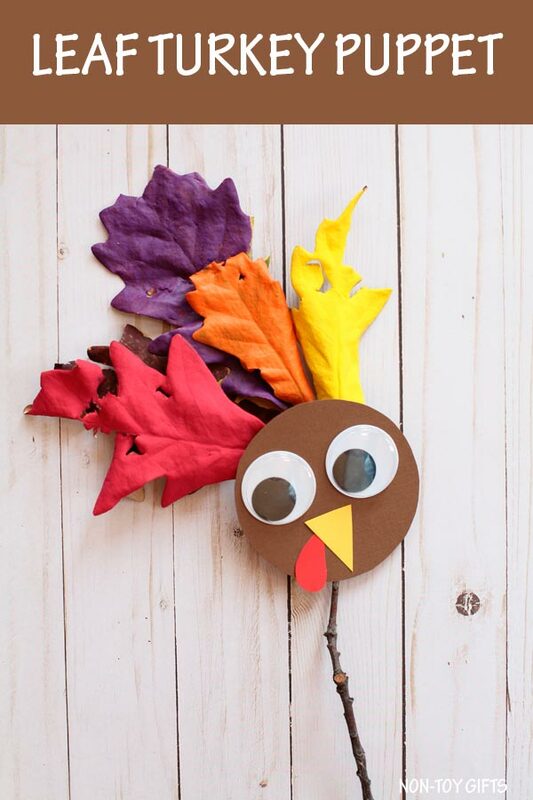 Draw the beak on yellow paper and the snood on red paper and cut them out. Glue them on the brown circle. 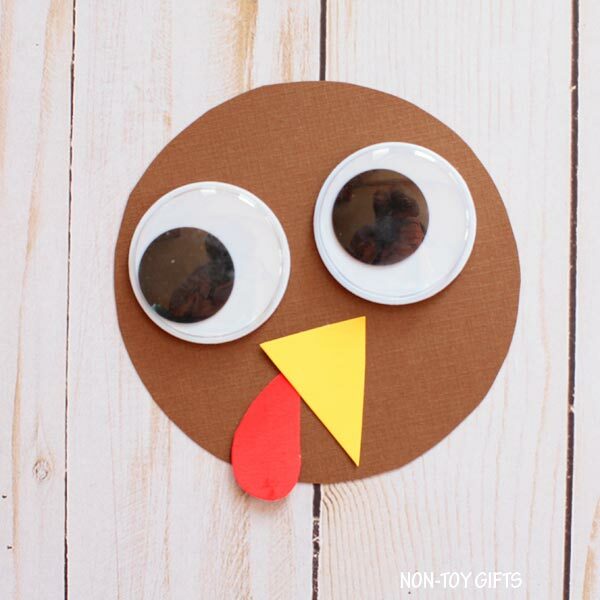 Add two big googly eyes on top of the beak. 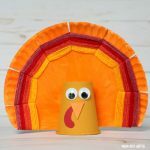 The turkey’s face is ready. All it’s left now to do is to glue it to the twig. I used hot glue but if your child is too little, you can do this step yourself or hand them a low temp glue gun.